It may be possible to place a company in liquidation and avoid liability under a Director Penalty Notice. However, there may be risks associated with a company liquidation and there may be better options available. 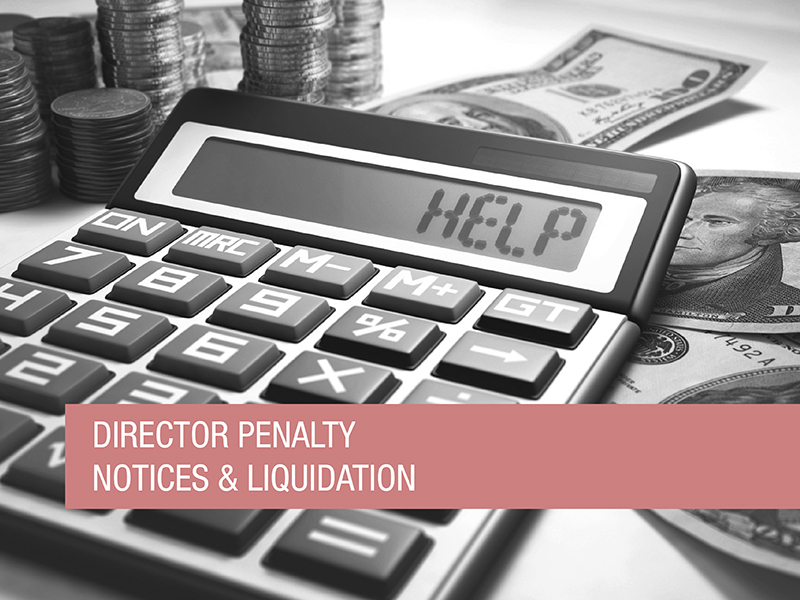 In this article we look at three steps you should take when considering whether to place your company in liquidation to avoid Director Penalty Notice liability. We have written various articles about ATO Director Penalty Notices including how they work and how to avoid or minimise their impact. “Ordinary” Director Penalty Notices – issued where a company has lodged its BAS and SGC statements with the ATO within three months of being due. To avoid receiving a “lockdown” Director Penalty Notice, make sure that your BAS are lodged within three months of being due and, if superannuation is not paid, that SGC Statements are also lodged within three months of the due date. Failure to do this will result in the ATO issuing you with a “lockdown” Director Penalty Notice at some stage; and you will be liable for the amount claimed in the notice unless the debt is paid by your company. If you have lodged BAS and SGC Statements within three months of being due and you get a Director Penalty Notice, you can avoid liability under the notice by appointing a liquidator or voluntary administrator to your company within 21 days of the date of the notice. But before you do this you should follow the following three steps. As part of the process of deciding what to do, consider the risks associated with the liquidation of your company, as well as those involved with your other possible options. For building companies, QBCC licencing issues, risks of Deeds of Covenant, and possibly home owner warranty claims. If liquidation is the best option, a liquidator can be appointed quickly – often within less than 24 hours. We have written in the past about the process of liquidation and its effects. However, if all shareholders agree to appoint a liquidator, this can be done by the shareholders simply signing a resolution (which if you wish to appoint us as liquidators, we can prepare). If a company has sufficient assets to pay some of the costs of liquidation, the directors will not have to pay anything towards the costs of a liquidation. However, if a company has no assets or is uncertain of which assets may be sold or recovered, we would generally ask the directors to contribute between $5,500 and $10,000 to the company, depending on the size of the company and the number of creditors it has. These funds would meet some of the costs of liquidation.. Received a Director Penalty Notice? If you’ve received a Director Penalty Notice, it’s best to act immediately. We may be able to assist you in getting a better outcome, so please urgently get in contact with us for a free, no obligation discussion.